Description: This vase has stumped me for a couple of years. It is very well made. 8 inches tall. Porcelain. 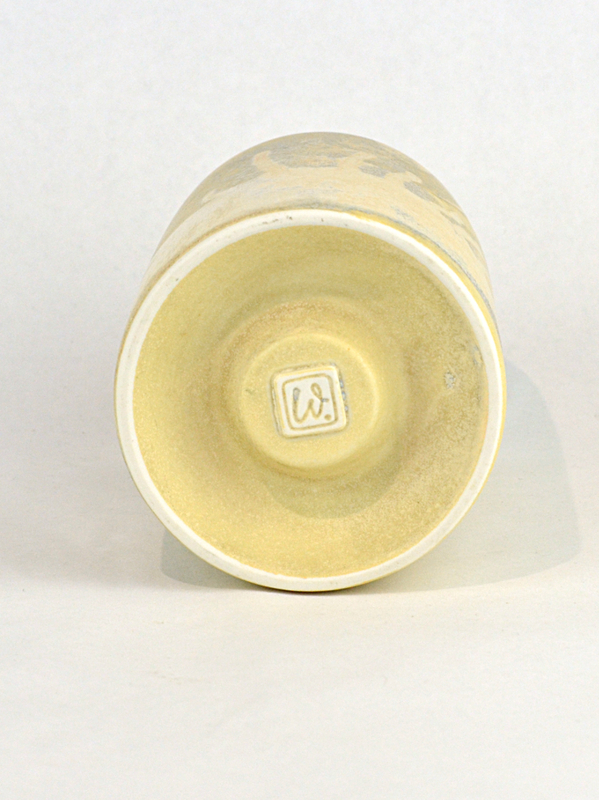 Marked with a W. on what appears to be a ceramic waffer which has been applied. 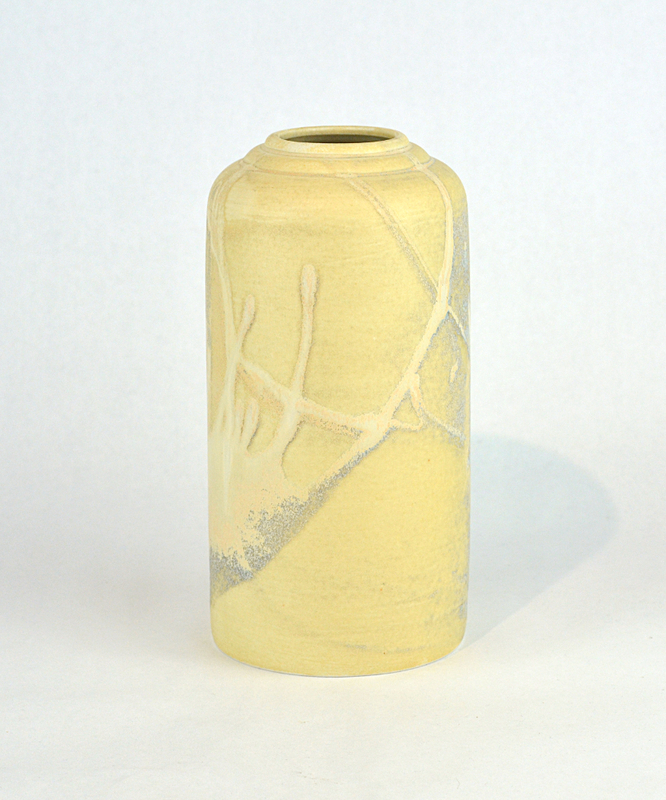 The glaze is matte, light yellow with abstract designs in blue, gray and orange. Very hard to describe.